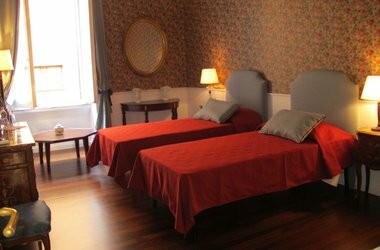 A lovely, six-room boutique hotel in a centrally located palazzo near Largo Argentino and Campo de’ Fiori. The look is a classic Italian family home: Venetian glass chandeliers, upholstered chairs, rich draperies, modern bathrooms. There's nothing ostentatious and it's all very tasteful. The lovely and helpful people in charge are Carlotta Fè d'Ostiani and her uncle Paolo. Her parents run in Trastevere.